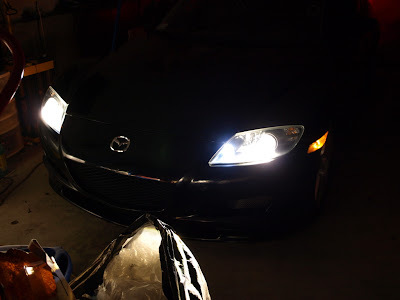 Was getting tired of having my LED driving lights be a 6000k type color and my HIDs be the OEM 4300k (which you can REALLY tell it's white since I did the project lens swap). 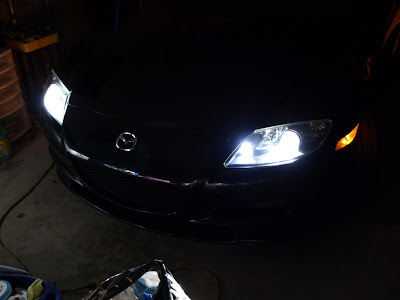 Decided to try Apexcone 6000k HIDs, which I heard is great quality and used by BMW drivers. The results were spot on match, and look excellent. Thanks to Oleg for the help installing these puppies. Top picture is before, bottom is after installation. Thanks. Very nice and subtle. They match great and it's a great price for both if you are just upgrading from OEM overall.